The service said there is a 60% chance of showers and thundershowers in Gauteng from Saturday afternoon. 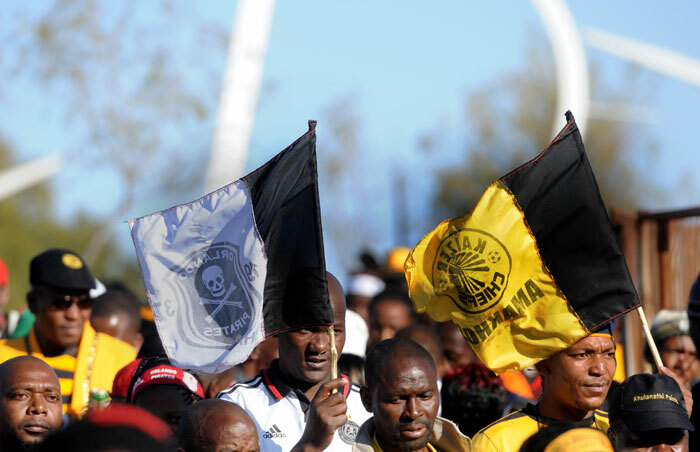 Soccer fans going to the FNB Stadium today for the much anticipated Soweto derby featuring Kaizer Chiefs and Orlando Pirates are advised to take along umbrellas as rainfall is on the cards. The match is scheduled to kickoff at 3.30pm. Speaking to Saturday Citizen on Friday, forecaster from the South African Weather Service Kgolofelo Mahlangu said there is a 60% chance of showers and thundershowers in Gauteng, anytime from Saturday afternoon. “Daytime temperatures are also expected to remain in the warm category,” she said. Johannesburg is expected to reach highs of 27oC while Pretoria and Vereeniging will peak at highs of 29oC. Elsewhere, residents in North West, the Highveld and escarpment of Mpumalanga, including Limpopo, can also expect similar chances of showers this afternoon. Meanwhile, several roads in and around the FNB Stadium will be closed off due to the huge number of fans expected to attend today’s match. According to Johannesburg metro police spokesperson, Superintendent Wayne Minnaar, the Soweto motorway will be closed off today. “The Nasrec road will be open and our officers will be directing traffic between the N14 and Rand Show road. “The Top Six taxi association and Metrorail will be providing transport but I also want to encourage fans to make use of the main parking area at the stadium,” Minnaar said. Despite it being an afternoon match, Stadium Management and City Power met to discuss interventions on theft and vandalism of electricity infrastructure at the FNB precinct. City Power will ensure provision of power supply and streetlights at the stadium today. About 90 000 spectators are expected to attend the game. Generators will also be made available in case of an outage and City Power representatives will be on site to assist with any possible power disruptions. Streetlights in the vicinity of the stadium will also be inspected to ensure the convenience and safety of entry and exit into the venue for fans attending the match after dark.